When you are craving your favorite restaurant dish it’s nice to have a copycat recipe on hand so you can skip the hassle of going out. These Oven Baked Copycat White Castle Burgers are a take on what we grew up calling ‘belly bombers’. Few people know that White Castle is generally credited as the country’s first fast-food chain. The company laid the groundwork with concepts that revolutionized the food industry! The preparation of these Oven Baked Copycat White Castle Burgers is just as important as what’s in them. Yes authentic White Castle sliders are made on a flat top. Not many of us have one at home though. So this adaptation was made with the home cook in mind. 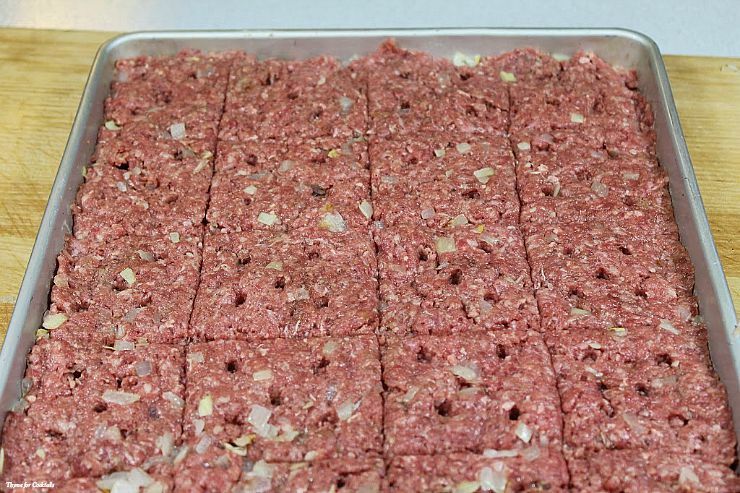 Baking the beef mixture on a sheet pan gives these bite-sized burgers their flat, square shape. 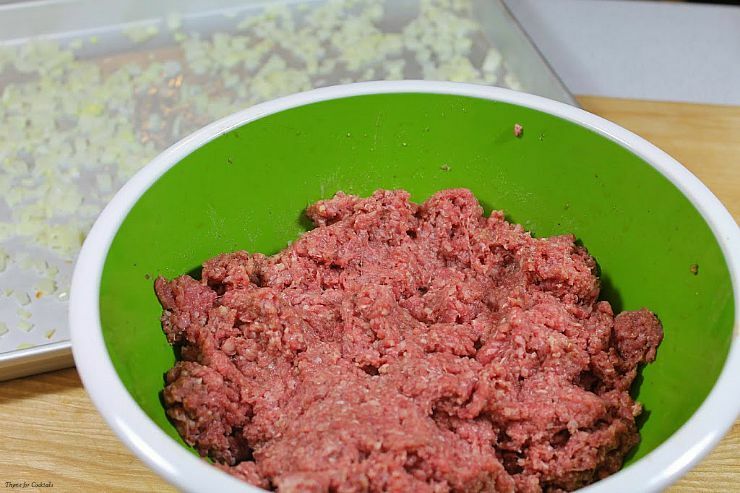 Be sure to score your burgers before baking, it is part of the White Castle burger appeal. And those little holes aren’t just cute, they allow the steam out. Please don’t skip this step or you will just have a big, weird tray of meat. 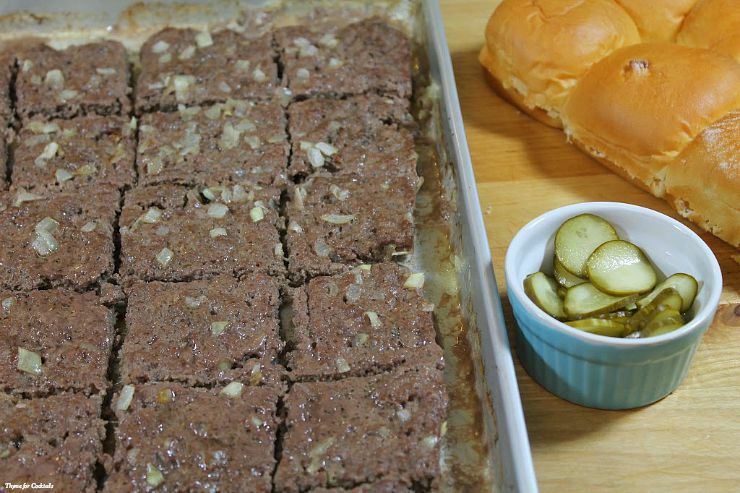 These Oven Baked Copycat White Castle Burgers wouldn’t be complete without my Spicy Garlic Quick Pickles! I hope you like my Oven Baked Copycat White Castle Burgers as much as my crew does. If you love this delicious bite-sized recipe, you can find more like it by checking out my Game Day section! For recipe inspiration delivered to your inbox, subscribe to my newsletter, follow my photography journey on Instagram, and for generally inappropriate humor follow like me on Facebook! 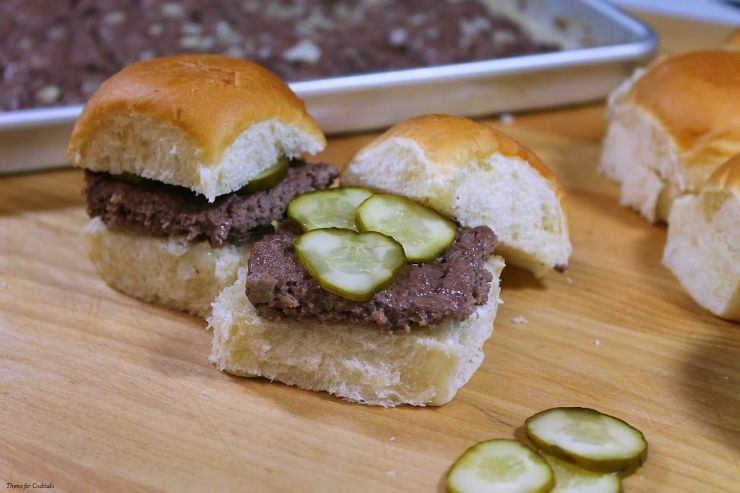 Oven baked copycat of the infamous White Castle burgers with onions on a soft roll and topped with pickles. Spread diced onion on a medium sized baking sheet, set aside. 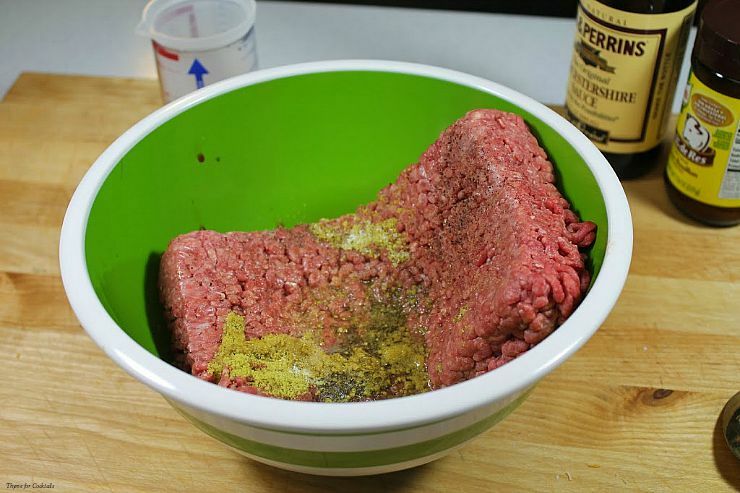 Add ground beef, beef bouillon, Worcestershire sauce, salt, and pepper to a large bowl. Mix thoroughly. Drop spoonfuls of meat mixture evenly over onions. Press meat until it covers the entire baking sheet. 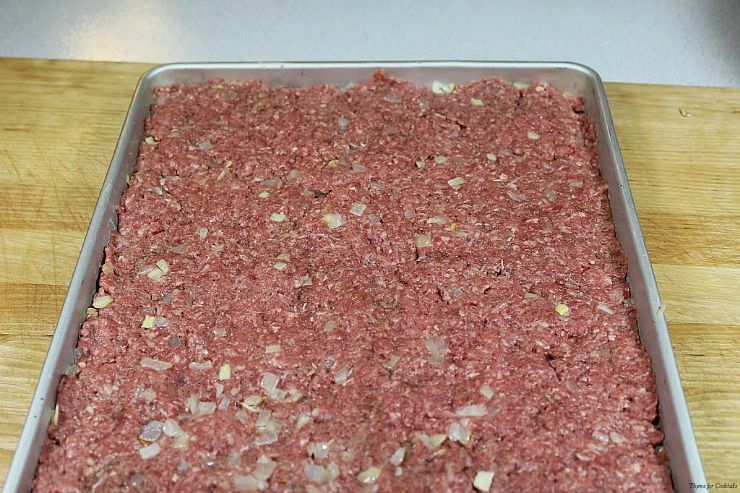 Score meat with a sharp knife making 24 even squares. Use a straw to make holes in each square. Bake for 12-15 minutes. Let rest 5 minutes. 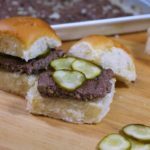 Serve burgers on dinner rolls topped with pickles. Tip- Use a pizza cutter to score burgers before baking. I love visiting your blog. This is just perfect for my family. Got to try. Thank your for stopping by! Wiil definitely try this. Let ya know how they come out.